(How) Can All Regions Benefit? This report looks at how regional policies can support productivity growth and jobs. While there has been a remarkable decline in inequality in OECD countries, inequality among regions within certain countries has increased over the same time period. Regions that narrowed productivity gaps tended to benefit from economically vibrant tradable sectors and integration with well-functioning cities. This report considers in detail the role of the tradable sector as a driver of productivity growth and its relationship with employment. It addresses the possible risks of a growing tradable sector and how diversification is central to strengthening regional economic resilience. It considers how regions integrate global value chains and highlights the role of regional and policy links in fostering productivity growth and job creation. It asks what policies can help better anticipate or cushion shocks from trade in specific regions and, more generally, what strategies and framework conditions are conducive for regional productivity and employment growth. The elusive quest for regional convergence? 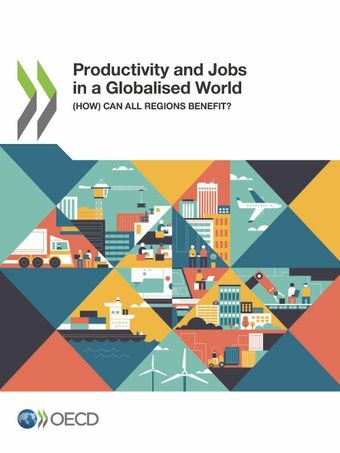 The launch event for the OECD report Productivity and Jobs in a Globalised World: (How) Can All Regions Benefit? was hosted by the European Committee of the Regions and the European Commission’s Directorate‑General for Regional and Urban Policy. The official launch and press briefing took place in the morning, followed by an in‑depth presentation of the report in the afternoon. The World Bank discussed the report and presented findings from the World Bank report Rethinking Lagging Regions in the EU: evidence-based principles for future Cohesion Policy.